JACKSONVILLE, Fla. — The canines of Jacksonville will soon be able to play in a new off-leash dog park in Riverside. City officials, Riverside Avondale Preservation (RAP) officials and donors broke ground Friday morning on the John Gorrie Dog Park at the historic Riverside Park in Five Points. 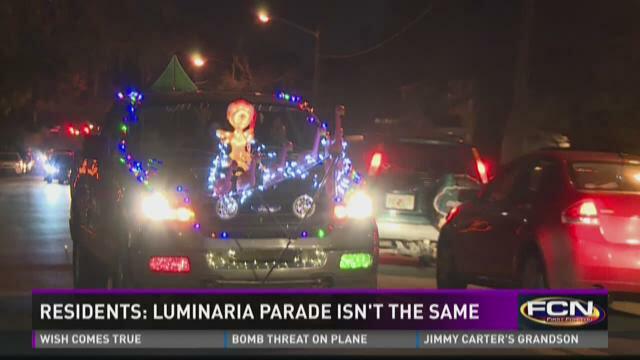 JACKSONVILLE, Fla. — It's beginning to look a lot like Christmas around the First Coast and residents in Avondale and Riverside gathered for the 31st annual Luminaria lighting Sunday. The even started as a community fundraiser but has turned into an all out party. "The neighborhood comes together and everybody celebrates a beautiful evening," Stephen Roberts said. "They've scaled back a little bit. Also, they implemented some other stuff." JACKSONVILLE, Fla. -- A newcomer to the local political scene is making a risky move in order to try and make a difference. Jason Tetlak, a Democrat, is running for Jacksonville City Council in district 14, which represents the Riverside, Ortega and Avondale areas. "I've just kind of decided I don't want to do things the way they've always been done. 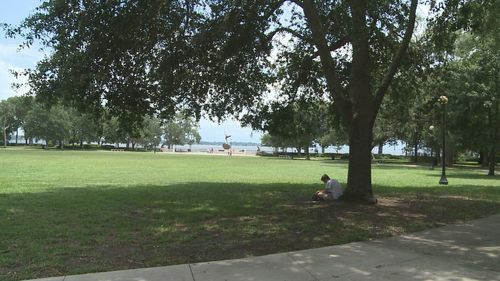 I want to do things the right way," he told First Coast News during an interview at Memorial Park on Thursday morning. Tetlak said since moving to the area 15 years ago, he's been making a list of changes he'd like to see made in government. Then, when Jacksonville failed to pass a comprehensive human rights ordinance, he said he knew he had to run for office. "I think city hall needs a jolt of energy for somebody's not an insider," Tetlak said in a three minute campaign video online. JACKSONVILLE, Fla. -- A rescue unit belonging to the Jacksonville Fire and Rescue Department appears to have been stolen and taken for a ride early Saturday morning. A security guard from St. Vincent's Hospital in Riverside told First Coast News the incident began at approximately 2:30 a.m. when paramedics were inside with a patient. The unit was later discovered abandoned a few blocks away on St. Johns Avenue. It was then spotted parked at fire station #5 by a First Coast News crew. A spokesman for the JFRD would not confirm if the theft took place, saying it would be the responsibility of the Jacksonville Sheriff's Office to investigate. FCN is working to get more information from the JSO. JACKSONVILLE, Fla. -- An aging Memorial Park in Riverside will get some major upgrades thanks to a public-private partnership. The Memorial Park Association is getting money from the city to match their contributions, and $400,000 is now available for park renovations. The Memorial Park Association recently raised $200,000 and the city is matching it thanks to a bill introduced by area Councilman Jim Love. JACKSONVILLE, Fla. -- A well-attended boating event has yielded concerns among people in the Riverside neighborhood. "All of a sudden there were two trucks out here cutting down this tree," said resident Alyce Adkins. Adkins shared with First Coast News photos that she took of city crews tearing down a historic live oak near the waterfront. The photos show orange "X" marks spray painted onto the tree's bark. Adkins said, "My first thought was they were going to have a boat race here in June, and this is one of the only places they could put stands."